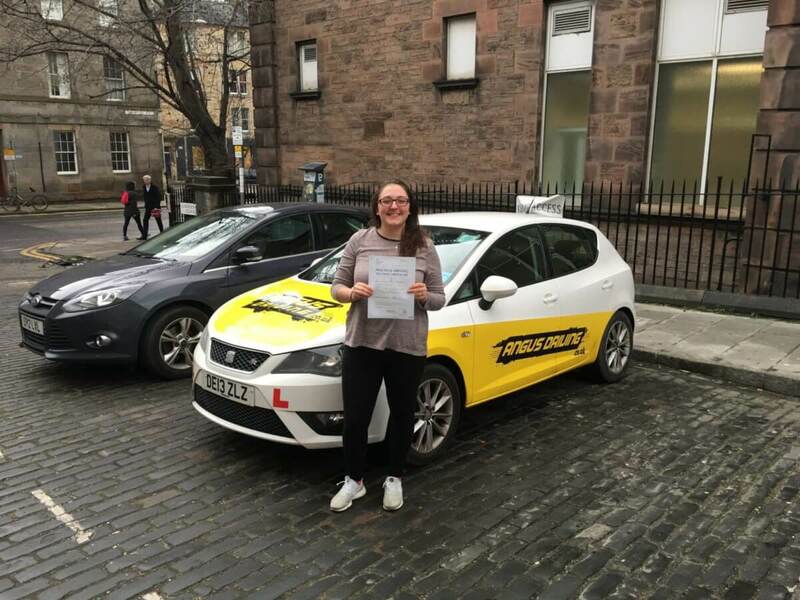 Victoria got in touch about driving lessons after learning with another driving instructor in Edinburgh. Victoria hadn’t been enjoying her lessons and felt that a change might help so we arranged to go out and have a look at how she was getting on. Victora had done most of her previous practice in the Musselburgh area of Edinburgh which is an area I’m not in that much, so it was going to be a challenge for both of us. On our first outing, it was clear that Victoria had a lot of skills and just needed to build up her confidence. While doing the driving lessons we agreed that I would get quieter and quieter so that Victoria got used to fully thinking for herself. Inbetween driving lessons Victoria also was getting to go out driving around Edinburgh with her Gran which was helping as she could perfect things we had worked on during driving lessons. After introducing the new things that the updated driving test had such as sat nav and new manoeuvres it was time for Victora to get her test booked and give it a shot. I was delighted to hear the news from the examiner on the day of Victorias test that she had passed with no real problems at all. What a way to begin 2018. Well done.